She hasn’t even drawn her first paycheck as a member of Congress yet and won’t be casting any votes for a couple of months, but the political media is already flitting around Alexandria Ocasio-Cortez like moths surrounding a streetlight. And she’s responding to all the attention by setting a big agenda for herself. 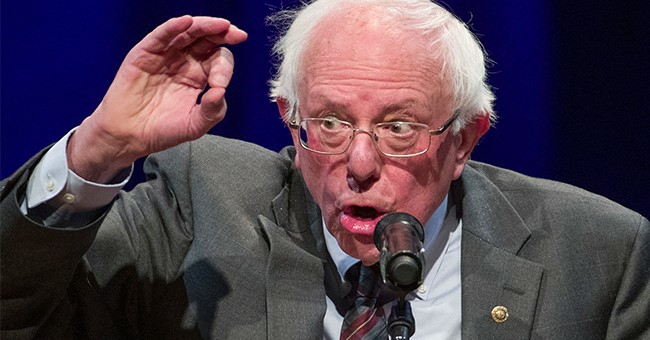 Rather than worrying about expanding the Democratic majority in the House two years from now or taking back the Senate, however, the newly elected socialist from New York has a different target in mind. She’s heading up a new coalition aimed at removing more Democrats in the next round of primaries and replacing them with more “diverse” candidates. You won’t need three guesses to figure out what that means. This article from Politico provides one example of the victory parade they are setting up for Ocasio-Cortez in Washington and frames her expectations of attracting more candidates like herself into the fray. She wants the new broom to sweep away the establishment Democrats and build a burgeoning force of young socialists ready to remake America. Rep.-elect Alexandria Ocasio-Cortez on Saturday threw her weight behind a new national campaign to mount primaries against incumbent Democrats deemed to be ideologically and demographically out of step with their districts. The incoming star congresswoman from New York again put the Democratic establishment on notice that she and activist groups on the left aren’t content with a Democratic-controlled House: They are determined to move the party to the left. “Long story short, I need you to run for office,” Ocasio-Cortez said Saturday on a video conference call hosted by Justice Democrats, as the group launched a campaign dubbed “#OurTime.” Justice Democrats supported Ocasio-Cortez’s primary campaign against powerful Rep. Joe Crowley (D-N.Y.). Let’s rewind that for a moment. Alex Thompson of Politico just referred to Ocasio-Cortez as “the incoming star congresswoman from New York.” We’re talking about someone who hasn’t even been sworn in yet. When she does take her seat next year, she will be among the most junior members of the lower chamber. No matter how much you want to project your hopes and dreams upon her, she’s still going to represent precisely one vote out of more than 400. Also, the substance of that conference call they’re referring to should give her supporters pause. Ocasio-Cortez is openly talking about primarying the senior members of her party in Congress. Those are the same senior members who will soon be determining what committees (if any) she winds up being seated on, directly determining just how much influence she can have. Threats like this may wind up sending her to the Small Business Contracting and Workforce subcommittee. Terrified? Mahdawi spends a good deal of her article talking about the wardrobe that Ocasio-Cortez owns and how conservatives are supposely “obessing” over it. In reality, having Ocasio-Cortez show up in the Democratic caucus and begin making noise is some of the best news conservatives could have hoped for. Going back to that conference call mentioned above, she was stoking the fires and encouraging the election of more Democratic Socialists who will push for “Medicare for all, abolishing the Immigration and Customs Enforcement department and implementing a ‘Green New Deal. '” These are precisely the budget-busting and social justice-obsessed talking points that most Democrats were backing away from in the closing months of the midterms. That’s because there is no majority in support of such plans. It puts people off rather than rallying them. As Ocasio-Cortez and her crew clearly stated on that call, they want to push the party further to the left. A lot further. And that’s how you lose elections. “Terrified” of Ocasio-Cortez? Actually she may be the best thing to happen to conservatives in years.